This trio of charming products may be for those with stuffed wallets, but anyone with ears will appreciate their superbly warm sonic superiority. High-end audio: once upon a time populated by leviathan power amplifiers and pre-amps, bulky CD players with massive anti-resonant bottom plates and colossal turntables with outboard power supplies. I love this gear to bits though, and am prepared to put up with little foibles such as tube replacements (only on tube amps of course) and the hefty power bills – especially when powering Class-A or single-ended tube amplifiers. Now this rare breed of hi-fi is still around of course, but recent times have seen the advent of class-d amplification and the subsequent downsizing of the components themselves. Also downsizing with them is the amount of power they consume, but what hasn’t downsized is the sound quality. 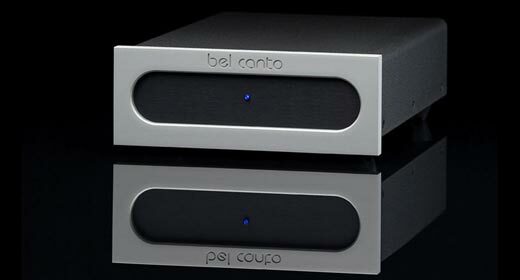 Bel Canto is amongst the vanguard of audio manufacturers specialising in Class-d technology, and they have forged a formidable reputation during their 15 years of existence. Importer Terry Humphries of Audio Reference Company in Hamilton was trusting enough to loan me the Bel Canto CD2 CD player/transport, Dac3 D/A converter/preamp and S500 dual-mono 250wpc power amp for an extended listening session, and an enlightening few weeks it certainly turned out to be. A straightforward LCD display shows the usual track number/elapsed time, and both RCA and balanced analogue outputs are provided. The CD2 uses the Philips CD-Pro2M transport module and not the usual computer CD transport used by some manufacturers. In fact, the same transport is used in high-end players from Nagra and Zanden, to name but a few. Bel Canto has worked hard to reduce clock jitter (digital time alignment anomalies) by developing their proprietary Ultra-Clock, and the ultra-low jitter figure suggests an extremely good transport – if not one of the best at the present time. Loading a CD is an easy task, but the aluminium overhang meant some care was required when placing a CD on the turntable. And that’s the obvious difference between most CD players and the CD2; you place CDs on a turntable. I was in love already. The Dac3 is similarly sophisticated: along with the DAC capability, it is a full digital preamp as well, and with its plethora of digital inputs, connectivity to other audio components (such as my Squeezebox Duet and computer audio via the USB input) made it very flexible indeed. The only change I’d like to see is an analogue to digital converter module: this would allow connectivity to good old analogue sources, specifically my vinyl rig. Still, the amount of fun I had playing CDs and listening to computer audio meant that little problem wasn’t at the forefront of my thinking during my time with the equipment. The Dac3 also utilises Bel Canto’s Ultra-Clock technology, and once again the company have abused their R&D department with extensive digital filtering and low noise digital to analogue conversion, while all output stages are Class-A for improved musicality and detail. Separate toroidal transformers are onboard for both digital and analogue stages, while signal paths are as short as possible for better fidelity and lower RF noise. If the Dac3/CD2 can be likened to a ship’s bridge, the S500 Dual Mono power amplifier is definitely akin to the engine room. This small but beautifully formed amplifier is crammed with esoteric components such as Caddock resistors and ultra-low noise regulated power supplies, and is rated at an amazing 250w into 8 ohms. Balanced XLR and single-ended RCA inputs allow flexibility depending on the source/preamp, and this class-d miniature goliath won’t break the bank when it comes to power usage. Individually, each component had a real luxury feel to them – like a Swiss watch. But like my mother always reminded me, looks aren’t everything. Despite Mum’s prophetic advice I had a feeling I’d not be disappointed with the performance of these cultured stunners. And so on to the audio performance: using an upmarket Neotech XLR digital cable into the Dac3, I set the 24/96khz CD2’s volume to 100% and utilised the Dac3’s volume control. 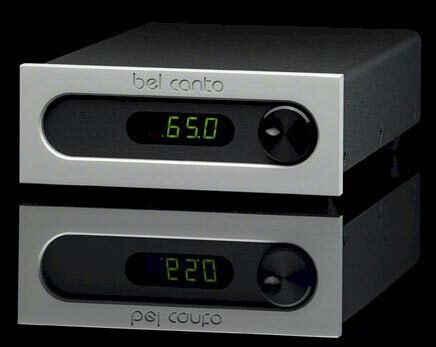 The well-featured DAC thus became a digital preamp and this was connected in turn to the S500 power amplifier via a set of Bel Canto’s own XLR cables. Loudspeaker duties were shared between my long term Wharfedale Opus One’s, Kef XQ40’s, Proac Response TriTowers and my very own wunderkind DIY Voigt single driver Vofo’s using Nordost’s redoubtable Super Flatline mk2 bi-wire speaker cables. As an alternate source I used my Squeezebox Duet, and this proved an amazing foil to the CD2 with all my ripped CDs and internet radio on hand. Listening to this system was a joy. The Bel Canto electronics seem to expertly combine warmth and involvement with excellent detail and dynamics – a mix that sounds easy on paper but in practice manufacturers seldom achieve. First onto the CD2 was Rodrigo Y Gabriela’s excellent self-titled album, and from the first track I knew I was listening to something special. Plucked strings and the guitar percussion on Tamacun sounded fabulous, with superb leading- edge realism, while their cover of ‘Stairway To Heaven’ filled the room with real ambience and involvement. Next on the gourmet Bel Canto menu was jazz courtesy of Herbie Hancock’ ‘Watermelon Man’ from his seminal Headhunters album, and this slice of ‘70s fusion shone via the Bel Cantos – the interplay between bass player and drummer was exceptionally involving and lucid, while the unusual vocal accompaniment appeared out of a black background. It was stirring stuff indeed. That’s just the tip of the iceberg, as I lost count of the number of albums I enjoyed while I had the Bel Cantos in my possession, the system kept me pinned to the couch as if I was listening to them for the first time.